A Xmas gift installed. Over all pretty good but I don’t like the side clips that are supposed to hook on to the rain gutters. They have a too tight curve and don’t grip well. Also, the strap that goes in the front doors and hold the front of the fly down tight to the van is not that great of a method. I’ll try modifying both. However, as is, the clips do attach to the Shady Boy awning box. No way to get them to attach to the gutter with the awning box in the way. 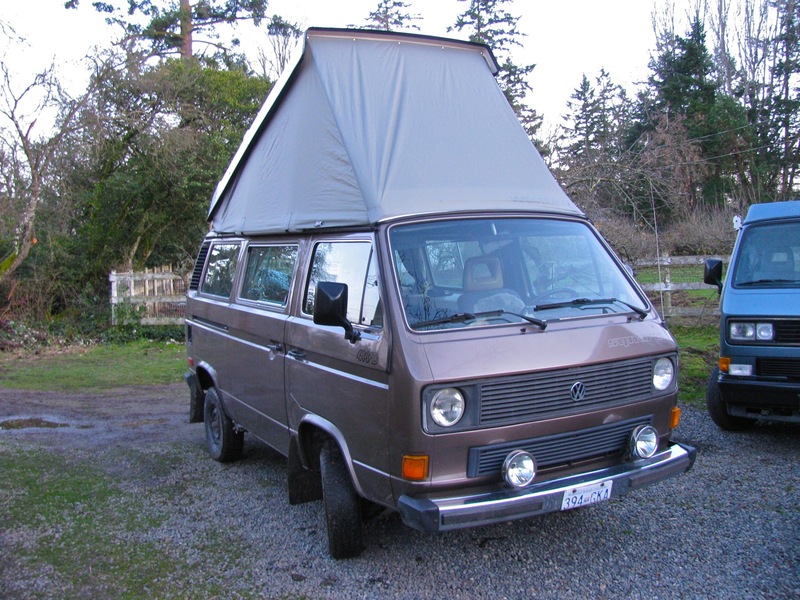 Link to Go Westy product page here. 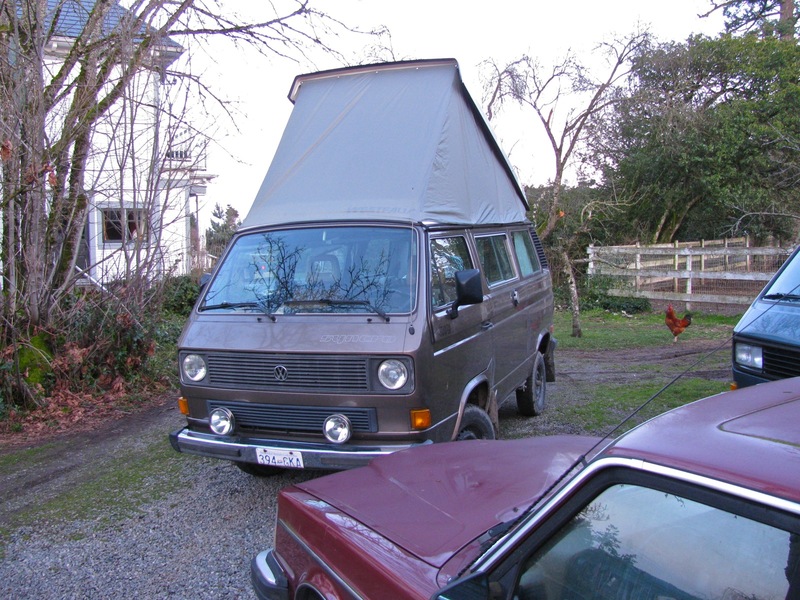 This entry was posted on February 13, 2012, 6:23 pm and is filed under syncro, vanagon, vanagon mods. You can follow any responses to this entry through RSS 2.0. You can leave a response, or trackback from your own site. Just came across your website. Please send me an email sometime I would like to talk to you about some of your mods and the high top.